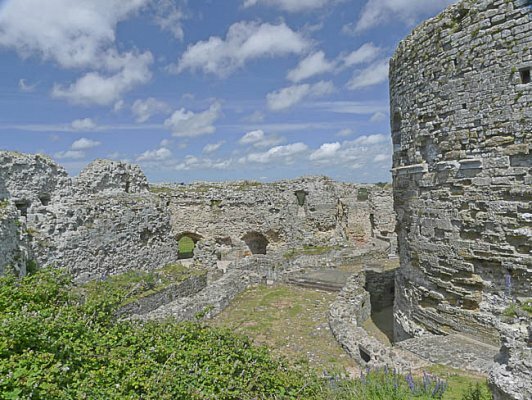 Henry VIII's Camber Castle lies within the nature reserve between Rye and Winchelsea. It was originally located overlooking the shallow sea on a shingle spit which protected the approach to these towns. Camber means a safe haven (the English fleet could safely anchor behind the castle) derived from the French chambre meaning bedroom. 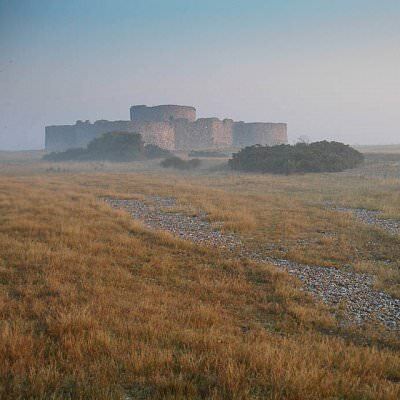 The nature reserve manages the public access to Camber Castle. It is open to the public on the first Saturday of August, September and October at 2pm for a guided tour. Walk to the castle and admission is £3 adults, £1.50 concessions. 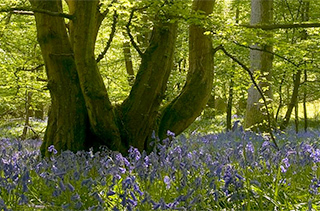 Some guided walks also include visits inside the castle - click here for nature reserve guided walks. There is a network of public and permissive paths that lead to the nature reserve - see our map page by clicking here. A 36 page, A6 colour booklet about Camber Castle has been published and is available for £1 from Lime Kiln Cottage, or £1.60 plus an A5 sae from the Nature Reserve address. A downloadable version (2.3MB) is available by clicking here. A leaflet about some of the items found in the castle can downloaded be clicking here. 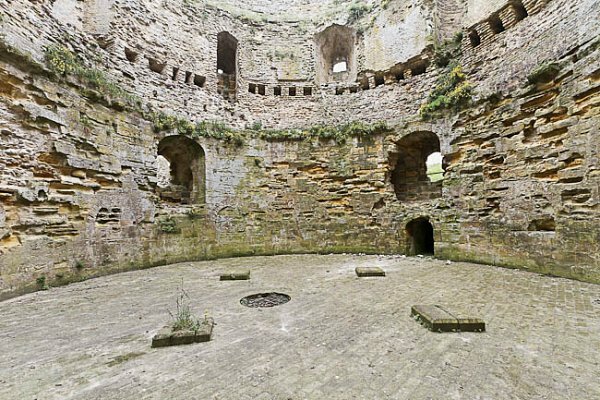 Other Henry VIII castles nearby are: Deal Castle and Walmer Castle. 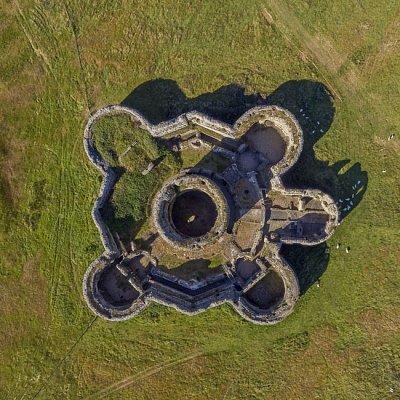 Further details can be found at ENGLISH HERITAGE web site, or in the book Henry VIII's Coastal Artillery Fort at Camber Castle, Rye, East Sussex: An Archaeological, Structural and Historical Investigation, by Martin Biddle, Jonathan Hiller and Ian Scott. This book is now available as a free download by clicking here. 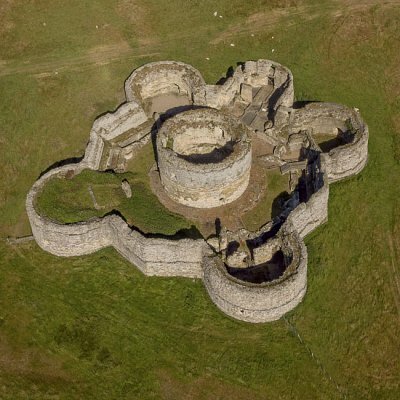 The Camber Castle Wikipedia page has lots of information on it. Click here. 1486 - Sir Richard Guldeford is granted the lordship of Iham (now Winchelsea), in return for building and maintaining a tower on this site (the tower was not yet built). 1512 - Sir Edward Guldeford built the central tower, at the end of a shingle spit and only a few metres from the sea. 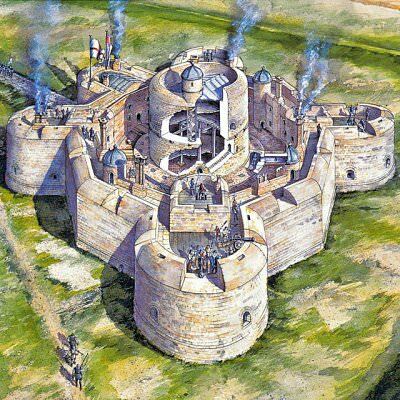 1539 - Work began on Camber Castle. The tower was extended upwards, and the outer bastions constructed. Completed 1544. 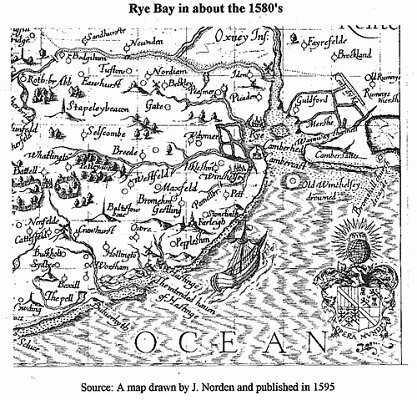 1626 - By this time the sea had receded so far that the harbour was out of range of cannons, and the Castle was useless. King Charles gave permission for the castle to be demolished, but for some reason it was left. Abandoned 1637. Now managed by English Heritage, it was taken into Guardianship in 1967, and initial consolidation work was carried out between 1969 and 1975. 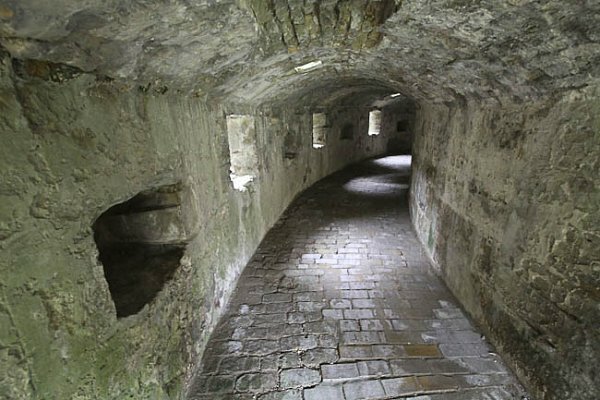 This involved structural work, particularly to the keep, hard capping the wall tops, extensive repairs to the brickwork and excavation of the infilled bastions. A further programme of consolidation, particularly to the courtyard surfaces and re-pointing of brickwork in lime mortars, was completed in 1995. 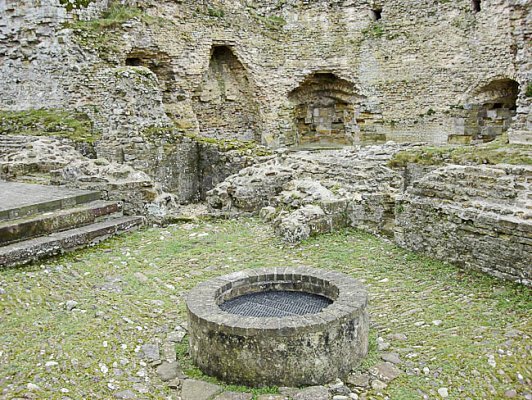 This work has enabled a limited public opening of the castle, but you can visit the outside of the castle on any day - see our map for location and footpaths. For your satnav the postcode for the start of the walk to the castle is TN31 7TD. Here is a series of photospheres that can be explored by clicking on the arrows in the image and on the blue information boxes. One of the controls will allow full screen view. Click on 360 to start.